For all of you out there keeping tabs on our Daspletosaurus prep projects (which seem to be hitting high gear again), you probably know how much I complain about the matrix and bone quality issues on them. For BCT, it's soft-ish bone locked in a hard sandstone with Ironstone concretion. On the exact opposite end of the spectrum it is Pete 3 with very soft sandy matrix encasing super fragile and shattered bones. I did a poster presentation on the Pete 3 issue at the first Fossil Preparations and Collections Symposium that Matt Brown helped host in 2008. The paper is now available online with the entire collection of presentations from the meeting. Congrats Matt on making the volume available, and I hope to see some blog readers at this years meeting in Chicago. 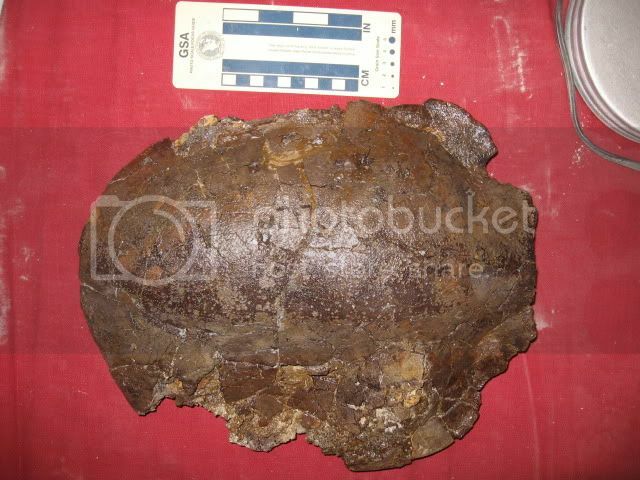 This turtle was recovered in 2006 from the Hell Creek Formation of southwestern North Dakota. Anyone have a guess to it's identity? If you've been following the RMDRC newsletter since our museum opened, you're probably familiar with our BCT Daspletosaurus n. sp. specimen, nicknamed "Sir William". If so, skip ahead a bit. BCT is a tyrannosaur discovered in 2001 in central Montana. It was originally thought to be in the Hell Creek Formation, making it a small Tyrannosaurus rex. Later, in 2005, it was discovered that the rocks were actually lower Judith River Formation, meaning that it is most likely Daspletosaurus. This specimen is an adult at 16 years of age (as determined by Greg Erickson) but displays some non-traditional Daspletosaurus traits, such as only 13 dentary alveoli (lower jaw tooth sockets), incidentally the same number as normally found in T. rex. Curious. The excavation was very difficult, and took the summers of 2002 and 2003. 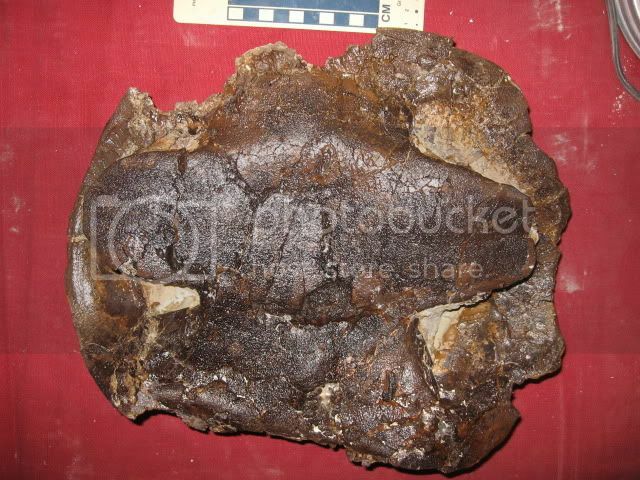 The bones were encased in a combination of hard sandstone and ironstone concretions. Preparation was likewise slow. This cervical vertebra is one of the last bones to be prepared from BCT, starting out as a 40 pound block of hard hard rock. After 30 hours of air scribe and air abrasion work this giant and beautiful bone is nearly done. Good job, Jacob, in getting this specimen ready for display!